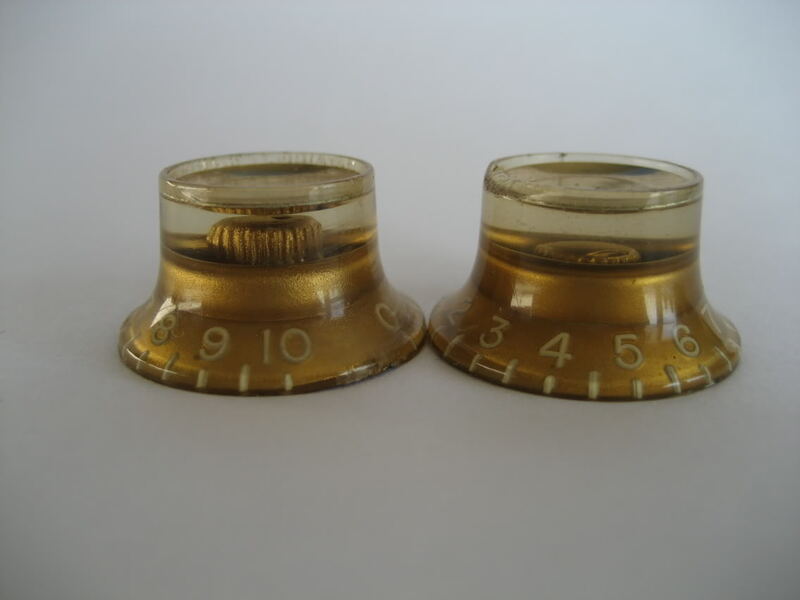 Would you know if the 1958 ES 345 from Back to the Future had gold or silver tophat knobs? It wasn’t a 58. They didn’t make 345’s until 59 and I believe the one in the film was a 63 (actually there were two different ones, apparently). The knobs should have been black with gold reflectors. I can’t tell if they were gold or silver. If its a late 65 it wouldn’t have had witch hats. So either it isn’t or somebody changed the knobs. Lots of 65 serial numbers got re-used later causing lots of confusion but there are many other ways to tel what year these are. found your post very informative. Just acquired a box of old speed knobs and need some help figuring what they go to, how old, etc.Could I send you some pictures. 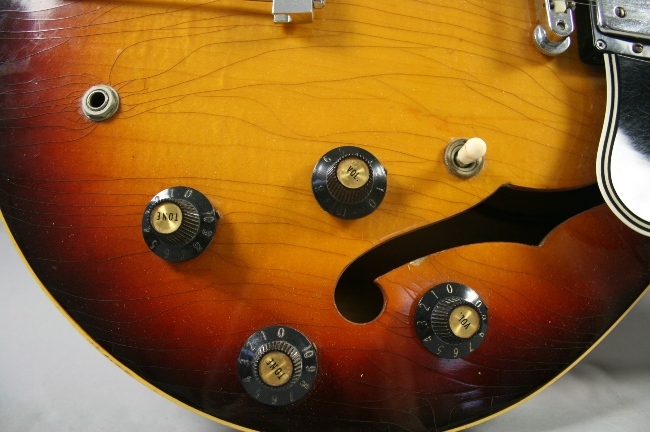 I have a 1979 ES 335 TD but the original witch hat knobs have been replaced before I bought it. I wondered what type and colour witch hat would it of originally had? It is a sunburst but not red more black to yellow, tobacco maybe? It would have had gold inserts in the witch hat knobs. Good article. 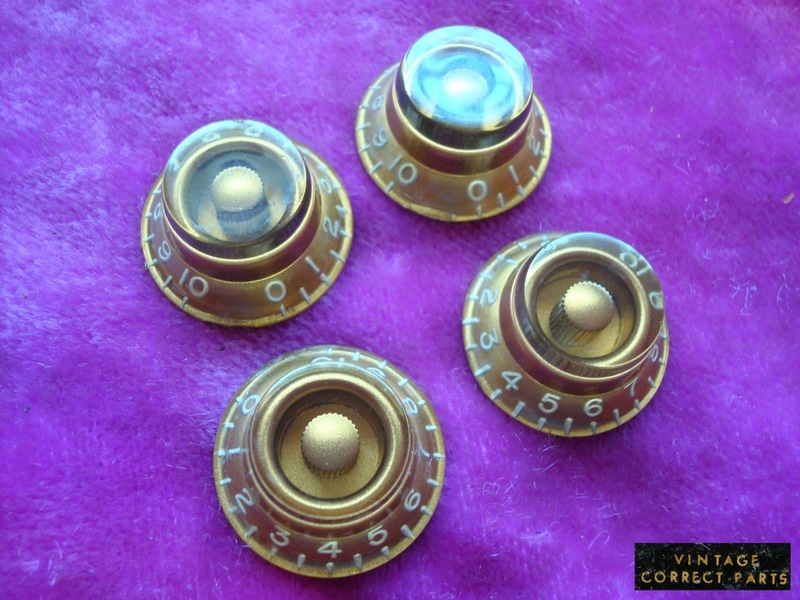 I have a ’70 335 and it came with three sets of knobs from the original owner. The speeds, the top hats. and witch. Not knowing decades ago when I acquired the 335, (pre-net) I put the witch hats on with the gold inserts as I thought those looked best for some reason. Good to know that I made the right choice from a period true point.